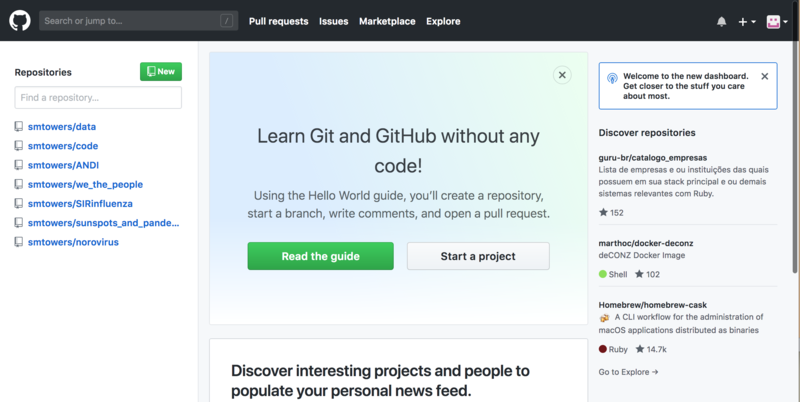 GitHub facilitates social coding by providing a web interface to the Git code repository and management tools for collaboration. Because GitHub is intuitive to use and its version-control tools are useful for collaboration, non-programmers have also begun to use GitHub to work on document-based and multimedia projects. Three important terms used by developers in GitHub are fork, pull request and merge. A fork, also known as a branch, is simply a repository that has been copied from one member’s account to another member’s account. Forks and branches allow a developer to make modifications without affecting the original code. If the developer would like to share the modifications, she can send a pull request to the owner of the original repository. If, after reviewing the modifications, the original owner would like to pull the modifications into the repository, she can accept the modifications and merge them with the original repository. 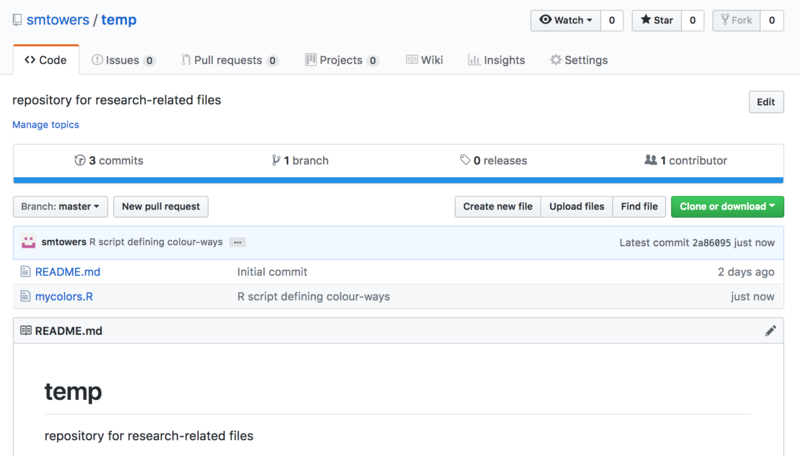 In the following, we’ll talk about GitHub at it’s simplest: as a repository for data files you might want to read into R, and also as a repository for R library packages you might develop. I won’t talk about the finer points of versioning here…. 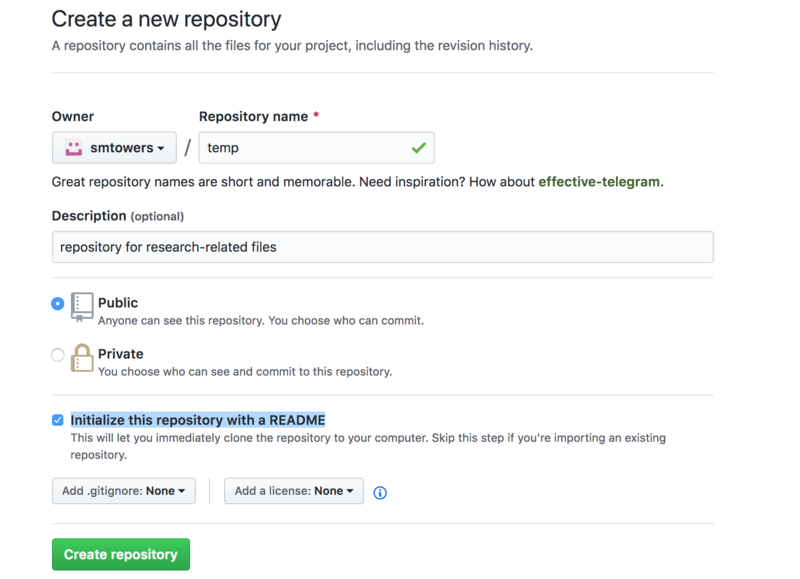 just the basics of how to create your own GitHub repository and upload files to it via the online interface. My primary use of GitHub is as a repository for data files that I want to share with others, and that can be read by R Shiny visual analytics scripts that I develop (although I can also incorporate the data files as part of the R Shiny application, so it doesn’t necessarily need to be in a repository like GitHub for this purpose). I could, of course, use Dropbox to share my files, but GitHub allows me to write descriptions of them, and also makes them searchable online. This also allows me to access the files in R Shiny scripts running off of servers like the shinyapps.io server, and to share the data file with whomever else might to want to use it in their analysis or applications. An R Shiny script that I have written that uses this data can be found at https://sjones.shinyapps.io/geneva/ The app reads in the data, plots it, and then overlays the predictions of an SIR disease model with seasonally forced transmission, with parameters input by the user via slider bars. In another module, I talk about how to create your own R Shiny applications (which may or may not read data from GitHub). 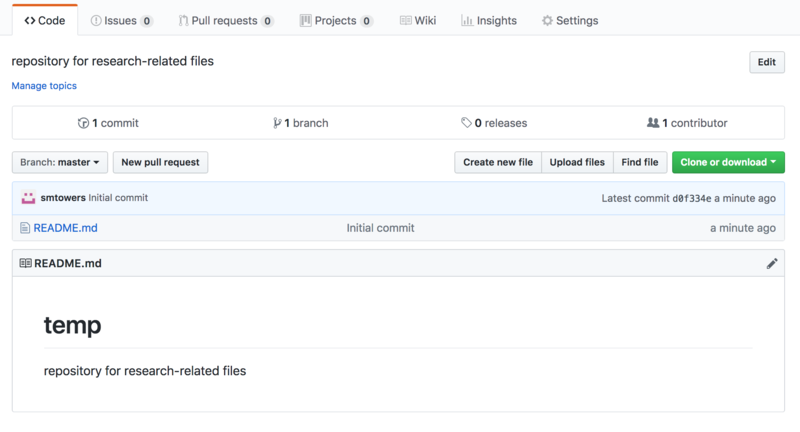 Once you click “Commit Changes” your file will now appear in your GitHub repository. Should you want to update the file in the future, simply repeat the process, starting with “Upload file”. If you upload a file with the same name as a file already in the main branch of the repository, it will be over-written. It is remarkably easy to upload your own R code to GitHub as an R library package that others can download and install. This website gives the complete guide to doing that, and is in fact the main resource I used to learn how to do this myself. I created an R library, for example, with some code related to an analysis my colleagues and I did quantifying the average number of infections that descend down the chain-of-infection of a person infected during an outbreak. Those include the people that person directly infects, plus the number those go on to infect, plus the number those go on to infect, and so on until the chain-of-infection eventually dies out. We called this quantity the “average number of descendant infections”, or ANDI. With ANDI, we can quantify the average probability that at least one person ends up hospitalised down the chain-of-infection from an unvaccinated person infected in an outbreak of vaccine preventable diseases like measles (turns out, that probability is almost 100% in locations where vaccine coverage is sub-standard).